CPAP machine and those with central sleep apnea use an Adaptive Servo Ventilation machine. To better understand how the units treat the apneas, it is important to know the difference between OSA and CSA first. Obstructive sleep apnea is the most common form of sleep apnea at the moment. OSA occurs when you stop breathing throughout your sleep in the middle of the night. The pause in breathing can last for several seconds and can occur up to 100 times in just one night. This pause in breathing is caused by an obstruction of the airway. The obstruction could be caused by your tongue relaxing and blocking the flow of air, or it could be related to sinus congestion or excessive phlegm buildup in the throat. Other causes could be problems with a deviated septum, adenoid issues, or inflamed tonsils. The most common sign of OSA is loud snoring followed by an abrupt pause in snoring, which is when the body stops breathing, and then followed by a deep breath and loud snore. This occurs because your body is trying to catch your breath after it has just momentarily paused. Central sleep apnea is different from obstructive sleep apnea in that the body stops breathing because there was no signal from the brain telling the respiratory system to breathe. Central sleep apnea is not as common as OSA but is still just as dangerous. In both cases, there is a lack of oxygen going into the body and most importantly into the brain. When the body is lacking oxygen, it, in turn, has an overabundance of carbon dioxide, which leads to several chronic and life-threatening medical conditions. Central sleep apnea can also occur due to you being overweight or obese. Inflammation and high blood pressure typically fall hand in hand with being overweight. Both of these conditions can impact the health of your brain and if the nerves happen to misfire at all, it could trigger central sleep apnea to take place. The use or misuse rather of opioids and narcotics in the United States and Canada has tremendously increased in recent years. These painkillers will actually numb the nerves not only in specific parts of the body where the pain is being felt but also in areas of the brain. If brain nerves become paralyzed or numb, then there is no way for the body to signal to the respiratory and nervous systems that it needs to breathe in order to survive. If you currently are using a prescribed opioid or narcotic medicine and think that you suffer from sleep apnea, you should consult your doctor immediately to reevaluate your condition, as this could be life-threatening. Since the underlying reason for central sleep apnea involves brain misfires, it’s common for people who suffer from brain diseases, brain infections, spinal issues or stroke to have central sleep apnea. Any of these conditions can be the reason why the brain does not signal to the body to breathe continuously during the night. 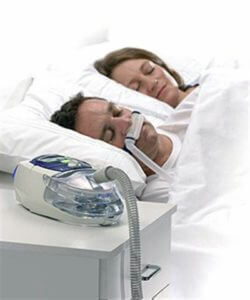 Adaptive Servo Ventilation is specifically designed for people who suffer from central sleep apnea. This type of therapy is relatively new to the industry and has only been around for a few years. ASV is noninvasive and is said to be more comfortable and user-friendly than CPAP machines used to treat obstructive sleep apnea. The difference is that ASV machines continuously change the pressure flow of air based on the actual person’s breathing patterns. The most common complaint of users with sleep apnea and undergoing PAP therapy is that the patient has to get used to the continuous flow of oxygen – it’s set at one preset flow and may feel unnatural to the user at first. 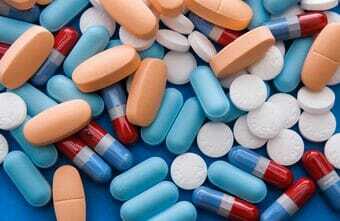 on this therapy to ensure its safety and effectiveness. In May of 2015, researchers found a disturbing correlation between ASV and chronic heart failure. 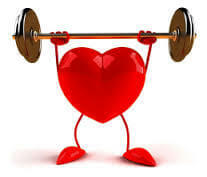 It is still unknown as to why ASV promotes heart failure, however, it has been recommended to doctors in the industry to avoid suggesting this therapy to people who have chronic hypoventilation, severe lung disease, or neuromuscular disease. CPAP machines have been the gold standard treatment for obstructive sleep apnea as they maintain the constant flow of oxygen in through the nose, down the throat, and then into the lungs. CPAP machines are not recommended for the treatment of central sleep apnea because people with central sleep apnea usually still tend to breathe throughout the night but their breathes are more shallow and do not fully capture the oxygen needed. The forced airflow from the CPAP does not really do anything for that kind of patient because the steady stream of airflow still does not signal to the brain that it should be breathing. The more natural irregular flow of oxygen from the ASV machine is more effective for those who suffer from central sleep apnea. It’s important to understand the two different types of PAP machines and treatment options available for central sleep apnea and obstructive sleep apnea. 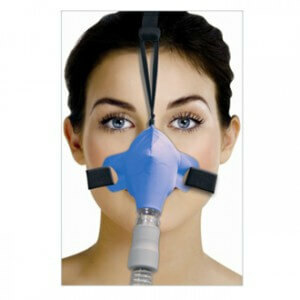 Both therapies are effective as long as you are using the correct PAP device for your apnea. CPAP Machine vs Oral Appliance Mandibular Advancement Devices – Which is Better? Next post: Nitetronic GoodNite Anti-Snoring Pillow Product Review – Can An Inflatable Smart Pillow Really Prevent Snoring?